A VW Passat fitted with automatic emergency brake technology, makes an emergency stop during a demonstration by the manufacturer Bosch. 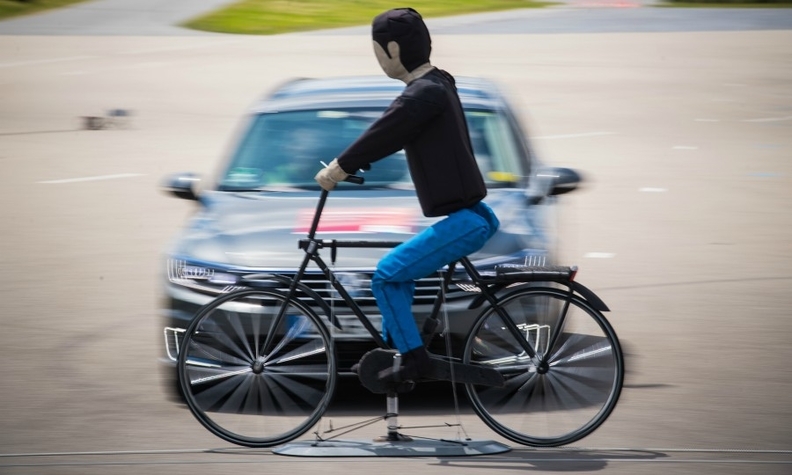 GENEVA -- The European Union and Japan have backed a draft U.N. regulation for advanced emergency braking systems (AEBS) for new cars and light commercial vehicles starting in 2020. The regulation will impose strict and harmonized requirements for automatic braking at speeds of up to 60 kph (37 mph) to save lives, especially in urban settings, the U.N. Economic Commission for Europe (UNECE) said Tuesday. "It activates the brake to stop a crash. It will not drive, it will brake," UNECE spokesman Jean Rodriguez told a briefing. There will be no obligation to retrofit older vehicles, he said.